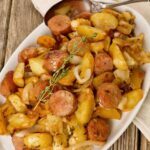 Hungarian food is near and dear to our hearts and all our Hungarian recipes are versions that have been passed down through our family and adapted for modern ingredients and cooking methods. 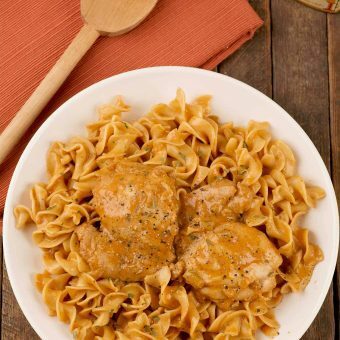 Our Instant Pot Chicken Paprikas recipe yields melt-in-your-mouth chicken, perfect egg noodles and a creamy sauce with a rich, paprika flavor. 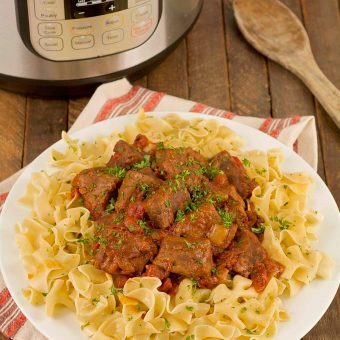 Our Hungarian Beef Goulash is an old family recipe that’s been adapted for the Instant Pot electric pressure cooker. 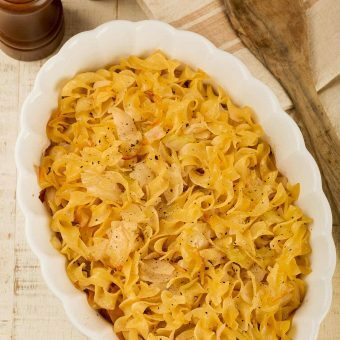 Richly flavored with sweet paprika, this hearty beef dish is delicious served over egg noodles or Hungarian Dumplings (Nokedli). 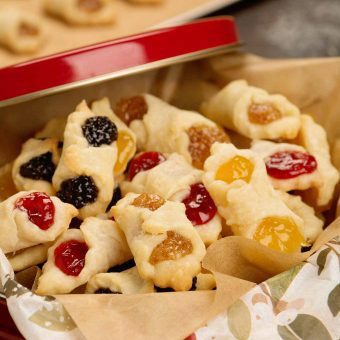 Kiffles are delicate Hungarian cookies made from cream cheese pastry wrapped around fruit or nut fillings. 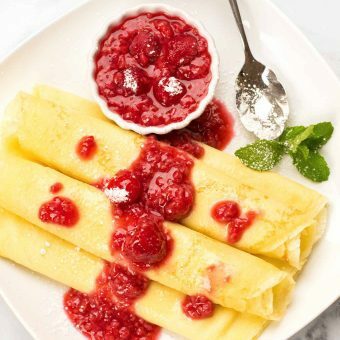 Perfect to serve for dessert or brunch, this recipe for Hungarian-style crepes (palacsinta) has a sweet, lemony cottage cheese filling and a topping of fresh raspberry sauce. 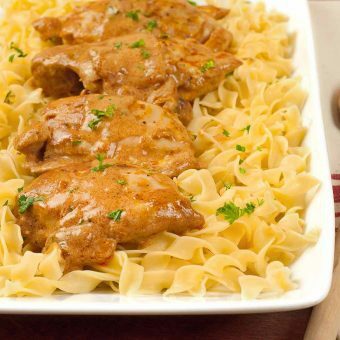 Chicken Paprikas is a traditional Hungarian dish, rich and full of sweet paprika flavor. For this easy version we roast boneless chicken thighs and serve them with a sour cream-paprika gravy that’s made while the chicken cooks. 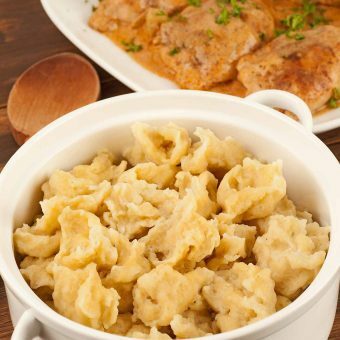 Hungarian-style noodle dumplings (nokedli) are very similar to German spaetzle. 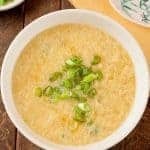 They make a delicious side for a variety of main dishes, the most popular being Chicken Paprikas. 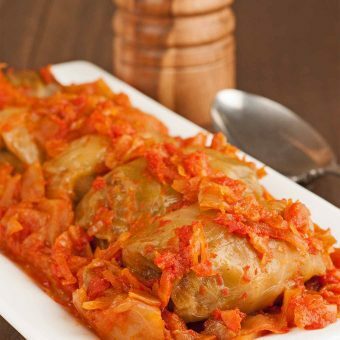 Our family recipe for Hungarian Stuffed Cabbage Rolls uses a filling of ground meat and rice and a thick tomato sauce flavored with sauerkraut, cabbage and bacon. 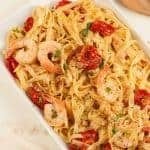 This traditional recipe for Hungarian Cabbage Noodles (Káposztás Tészta) is a simple combination of buttery egg noodles and sautéed cabbage that’s easy to make and delicious to serve alongside a variety of meats and poultry.